Developing and maintaining centralized automatic lubrication systems. Proven ways to increase equipment reliability, implement cost savings, and boost plant productivity. 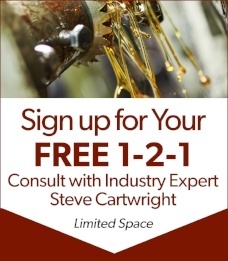 The ins and outs of effective industrial preventative maintenance strategies and successful lubrication programs. How did Steve Cartwright get all the answers? LubriSource is fortunate to retain Steve, our original founder, as one of our in-house experts for all lubrication and industrial maintenance matters. We’re excited to offer you the opportunity to gain direct access to Steve and his wealth of specialized knowledge during your one-hour complimentary consultation! 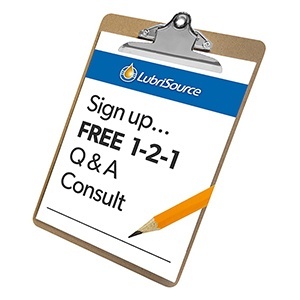 Just fill out the form and a LubriSource team member will contact you to schedule your free consultation.